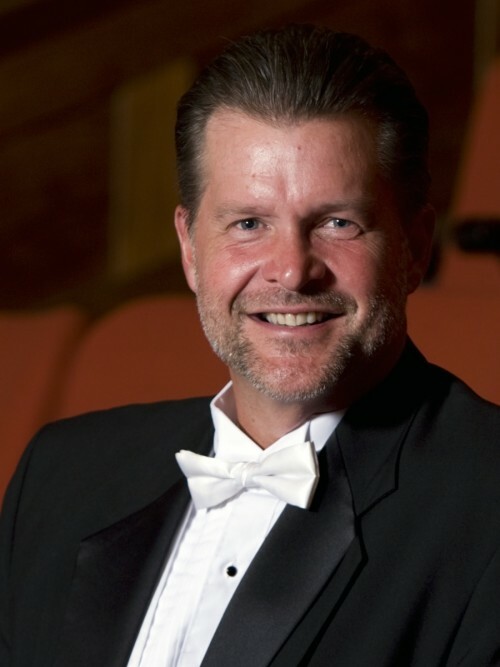 We met with Dr. Mark Davis Scatterday, conductor of the iconic Eastman Wind Ensemble and our chief band and wind ensemble judge late in summer of 2017. In this segment of the interview, we asked him his advice to young students preparing to take a professional audition behind a screen. He gave a very thorough and detailed answer about the importance of taking your time, connecting with your audience, live performance, bringing in your audience, practice routines, and general life advice. Below, we are listing 14 key takeaway points, and, further down, we are providing a full transcript of this portion of the interview. The link to the YouTube interview is beneath the key takeaway points. 1.) This [nervousness] can very easily transfer into something physical with the screen goes up and you know there are people behind it, but you can’t see them. [That physical thing, is that you] rush because ten seconds seems like a minute. If we were to pause right now for ten seconds, it would seem like an eternity. Then, if you put everyone behind a screen, the perception is even more. 2.) I say, especially that last week before you have an audition, just play that excerpt once each session. Don’t play it I again, you don’t have another chance; it’s not tennis, you don’t have a second serve. Play it once, and move one, because that is what you are going to do in an audition. 3.) Take your time. You are going to feel like they are waiting for you, but it’s your time. Pace yourself, take your time, prepare, and sing the first phrase in your head. You are going to get that pitch, rhythm, and style, and then play. 4.) Right before you play, take an extra five seconds for there to be this sound before you play [pauses for a few seconds to demonstrate silence], because, silence identifies sound in a really special way. If there is moving around, and whatever, we haven’t come from something pure. 5.) The last week of preparation for the audition, only do one take of an excerpt in a session. Let’s say you do three sessions a day – only do that excerpt once in a session, but tape it. Tape your process [playing several excerpts as if it were an audition] through those recordings, and you’ll hear how you rush and how things are getting faster and faster together. 8.) I feel like a lot of times, students are playing for perfection, and their idea of perfection is don’t miss any notes…. I’ve played a lot of auditions where I never missed a note, and I went home. 9.) There is another point, a musician needs to bring people in by letting them relax. If I am up here and the music is difficult, and I am having a difficult time, and I don’t look like I am enjoying it, and it looks like it is hard, they [the audience] are not going to enjoy it either. They can appreciate maybe that it is hard, but people don’t come to concerts to be uncomfortable, people come to concerts to be entertained. 10.) It’s hard when you don’t have eye contact – eye contact is huge. I think, for young players, they are afraid to get eye contact, but I tell them it is one of the most important things you can do for your life for interviews or whatever because people believe you when you look at them in the eye. If you don’t look at them in the eye, sometimes it is subconsciously hard to believe. Now, you don’t have that with the screen, but you have to imagine they are sitting there looking at you and listening to you – not just hearing you but listening to you. 11.) So that’s listening, I think, and I think eye contact helps listening. That is why concerts are so important, live concerts versus recordings, because of the connection with you and your audience, and how you sell that -- how people engage with you and are brought on stage in a way that you bring them on. But, if you don’t get eye contact with them, or you don’t connect with them somehow, they can’t listen, they can only hear. 14.) Don’t try to manufacture every detail of your life. Embrace that you don’t know what is going to happen with you in your life, along with your career, your family, your finances, whatever it is that everybody worries about in their life. If you can somehow embrace that and say, you know what, if I do these things [work hard on your talent and treat people well], it is going to be OK, it’s going to be great. Alexander Serio: What is your advice to students at Eastman preparing to take a professional audition behind a screen? Mark Scatterday: I think the big thing is to take their time. One thing about playing behind the screen is that you are already anxious anyways when you are playing for people. You are nervous because you care. How do you control your nerves? Nerves aren’t a bad thing, nerves can really get you to focus, but there is a point where nerves get in the way. So, slow everything down in your mind into a slow motion. This [nervousness] can very easily transfer into something physical when the screen goes up and you know there are people behind it, but you can’t see them. [That physical thing, is that you] rush because ten seconds seems like a minute. If we were to pause right now for ten seconds, it would seem like an eternity. Then, if you put everyone behind a screen, the perception is even more. I find that when young people are preparing their excerpts, they are just playing them boom, boom, boom, [right in a row] in the practice room. I say, especially that last week before you have an audition, just play that excerpt once each session. Don’t play it I again, you don’t have another chance; it’s not tennis, you don’t have a second serve. Play it once, and move one, because that is what you are going to do in an audition. However, in-between each excerpt, you have to change styles, composers, and maybe even instruments. Take your time. You are going to feel like they are waiting for you, but it’s your time. Pace yourself, take your time, prepare, and sing the first phrase in your head. You are going to get that pitch, rhythm, and style, and then play. But, right before you play, take an extra five seconds for there to be this sound before you play [pauses for a few seconds to demonstrate silence], because, silence identifies sound in a really special way. If there is moving around, and whatever, we haven’t come from something pure. It makes people focus on you, even more, if there is just five second of silence right before you play. You know, you are not emptying your water key, or sniffing, or whatever. You will also hear people behind the screen moving, maybe even talking, shuffling their feet, wiping the rain off their jacket from coming in from lunch – who knows. But, is that going to distract you? Wait until there is silence, and then play. That’s also the key to talking. When you want to say something profound, wait …until that last… moment, and you’ve got people. It’s hard when you don’t have eye contact – eye contact is huge. I think, for young players, they are afraid to get eye contact, but I tell them it is one of the most important things you can do for your life for interviews or whatever because people believe you when you look at them in the eye. If you don’t look at them in the eye, sometimes it is subconsciously hard to believe. Now, you don’t have that with the screen, but you have to imagine they are sitting there looking at you and listening to you – not just hearing you but listening to you. That is a funny thing about eye contact, I think. What is the difference between hearing and listening? There is a big argument from people. I ask, “Is hearing more concentrated, or is listening more astute?” I get both sides, but I have always thought listening was more of an intense hearing. Hearing may be like, I hear a little bit of a buzz in the hall right now – it is not that bad, but I hear it. It doesn’t distract me, but if there were a tv on or music that I really liked, I would be very distracted by it and I would have to listen to it. Malcolm Bilson, who taught with me at Cornell -- we used to go into restaurants and he would ask them to turn the music off in the restaurant because he couldn’t concentrate. So that’s listening, I think, and I think eye contact helps listening. That is why concerts are so important, live concerts versus recordings, because of the connection with you and your audience, and how you sell that, how people engage with you and are brought on stage in a way that you bring them on. But, if you don’t get eye contact with them, or you don’t connect with them somehow, they can’t listen, they can only hear. The other side of the coin is when somebody says, “oh, I hear you.” I think that means that they really agree with you or understand what you are saying. So, some people will say hearing is more important than listening, and I think they are synonymous, but it is interesting to talk about what people’s perception is on that. That’s the screen problem is the hearing and the listening, and how you engage people to listen to you, and I think it is just taking your time, and having there be a gap between Mozart, Stravinsky, and Sousa. How many times in your life are you going to have to switch gears like that in the professional world other than in an audition? And, if you do this in the practice room quickly in a row or do each excerpt two or three times in a row and are rushing through things…. Also, the last week of preparation for the audition, only do one take of an excerpt in a session. Let’s say you do three sessions a day – only do that excerpt once in a session, but tape it. Tape your process through those recordings, and you’ll hear how you rush and how things are getting faster and faster together. You see because time is all we have in our lives. So, listen to that, then play your recording back, and analyze it then. Then, the next time, do your session again, but mix up the excerpts, but only do each one once. I feel like a lot of times, students are playing for perfection, and their idea of perfection is don’t miss any notes…. I’ve played a lot of auditions where I never missed a note, and I went home. I think people’s memories are sympathetic and short. On stage, especially, if you have a problem, don’t let them know. Sometimes, that’s what is really cool about playing contemporary music. Sometimes the audience doesn’t even know. But, if you show them that you missed a note, they will know. Sometimes, I tell my students, “after your solo, if I gesture to you, please stand, I want to give you a bow.” And, they stand and they [makes grumpy face]….the audience picks up on that; the audience wants to know how you did. Sometimes the music is so difficult that the audience doesn’t know whether it is good or not and they rely on you to let them know. I did a piece a few years ago where a friend of mine brought his daughter and she might have been like in 6th grade, and I did some Karel Husa, or something that is really contemporary and maybe kind of difficult to listen to. The rest of the concert was pretty easy to listen to and pretty tonal, but this one piece was really difficult to listen to but it was the piece that I thought was just great. Karel Husa and I spent a lot of time together. He just passed away this last year, but I try to do a lot of his music, and in fact, this year I am doing all of his music because he just passed away. So, people are going to think I am crazy, but I am going to do it all, all the wind stuff. There is another point, a musician needs to bring people in by letting them relax. If I am up here and the music is difficult, and I am having a difficult time, and I don’t look like I am enjoying it, and it looks like it is hard, they [the audience] are not going to enjoy it either. They can appreciate maybe that it is hard, but people don’t come to concerts to be uncomfortable, people come to concerts to be entertained. I remind our students that, ok, you are a musician, you are an artist, but when you get a visa to Japan to come on tour, it says “entertainer,” on it. Don’t forget that. Our art form is an art form, but it is also part of entertainment. That is another thing behind the screen that is difficult because they can’t see you. But, if you can really have fun, the people behind the screen will get a sense that you are entertaining, and that sells tickets. I don’t know any orchestra that is not thinking about their budget. They want people that are engaging, but how do you sense that behind a screen. I think there are ways to do that if you can somehow have fun with it.